You can print this instruction sheet and then refer to it while working until you can learn them. Feel free to leave any comments below! Cheers! There are a total: 21 comments posted to this page. Great tutorials!! Many thanks for taking the time and effort to record these videos and post them for nowt!! Thanx, cant wait for chapter 3 to come out! That part has been bugging me for a long time..
Beatles. Seems like you are a musician with studio experience. Easiest to follow tutorial this far. Too many begin assuming basic knowledge of such complex software. Thank you for your time and effort. These are great! I can't wait for chapter 3!!! Got lost in Germany ? Just such a great help! Thanks so much, and I am really hanging for Chapter 3 now! yeah sorry to those waiting - we've been real busy doing some new code for the site. It's nearly done, and when it is you can all make yourself a free customisable website. ok, soon come with more logic tutorials but only after this code is all done. your right mouse click to show the tool menu AND the context menu at the same time! Can't wait for version 3...thanks again! Just got L9. Was very frustrated until I found your tutorials. VERY helpful. Looking fwd to chp 3. 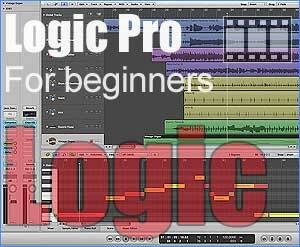 I want to thank you very much for your superb tutorials concerning Logic pro8. You are BORN a teacher; in the pedagogic way you do it and with your patience and endurance, I as a following student feel invited to a journey that is fun and also possible to manage. My greatest respect to what you do! A question; is there a third chapter following up these two that can be seen here? Thanks so much, i just go Logic the other day, and I'm up and running fine now with the basics, all thx to these tutorials! Will there ever be a 3 after all? outstanding video and easy to understand and learn! All the best! Excellent tutorials VERY thorough and clear presentation, perhaps the best I have seen so far. The only bit leaving something to be desired is the lack of coverage on sends, though I anticipate it is planned for a different section. TO sum up, BEST LOGIC TUTORIAL YOU WILL EVER WATCH !